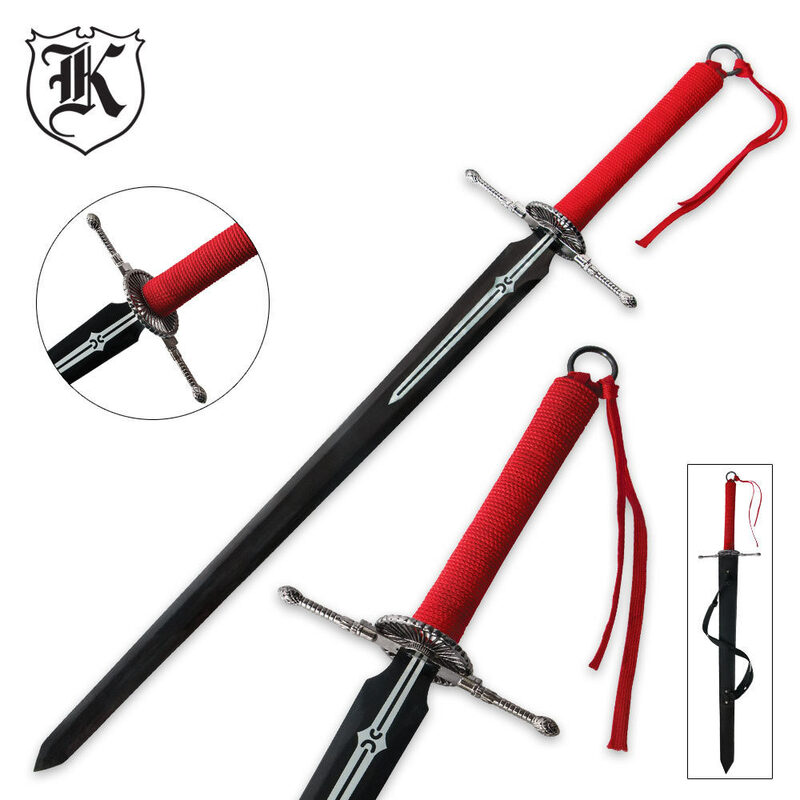 Inspired by one of the most popular anime series favorites, this Element Guardian sword features a 29.5" 1045 carbon steel blade with a unique shape and appearance that make it instantly recognizable to the devoted anime enthusiast. The powerful blade has a matte black finish for a non-glare appearance, and the handle is wrapped in red cord for an inspired finish to the design. 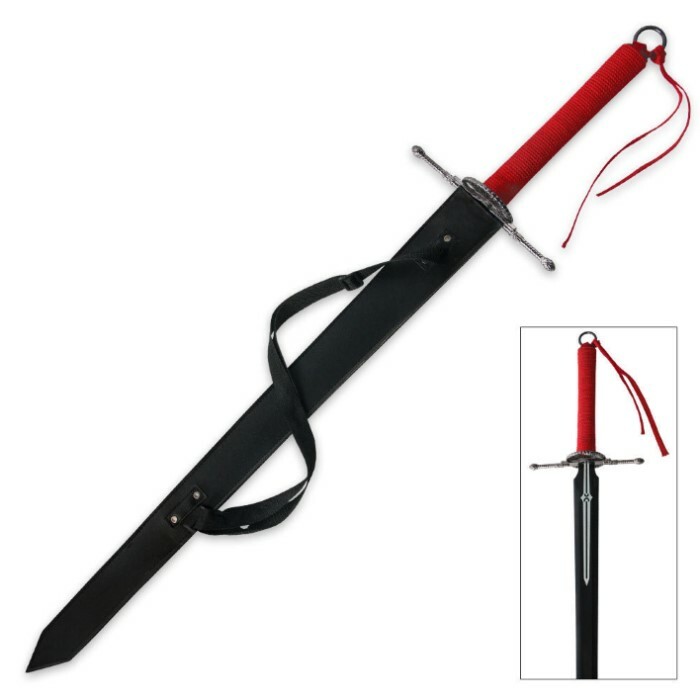 Rather than a typical hardwood scabbard, we've included a sheath with a shoulder strap so you can carry this sword they way it was intended to be carried. 42" from end to end. This is a very good product fo the price, balanced and solid.